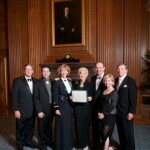 I was invited to dinner at the US Supreme Court. 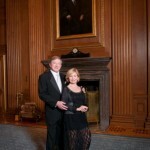 Here are photos of Barbara and me taken at the Court. Beautiful building and good dinner. This photo was taken during an interview with Paul Perrello on his TV show Philly Factor where we talked about Avalanche and Gorilla Jim, Appalachian Trail Adventures and Other Tales. Paul is a seasoned interviewer and it was fun being on his show. Backpacking trip in Vermont with Gorilla Jim and Circuit Rider. 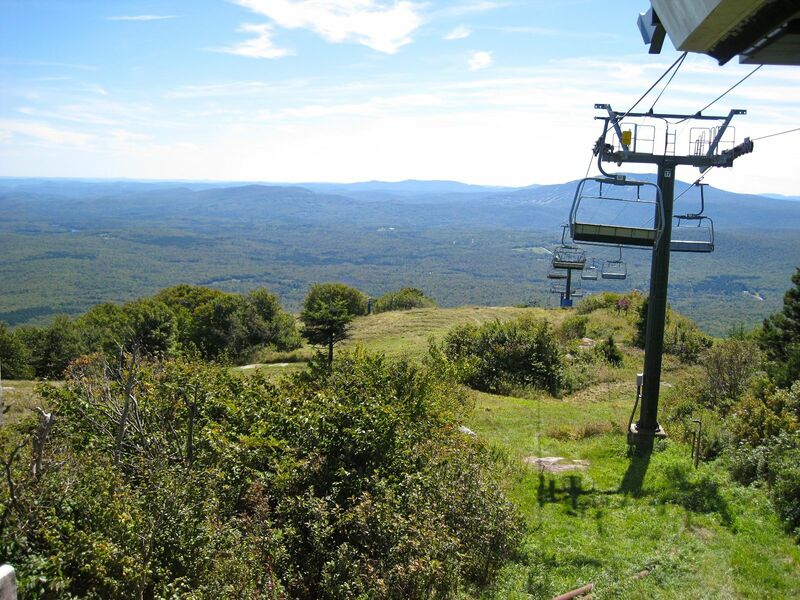 This photo was taken from the top of Bromley Mountain at the ski chair lift. September, 2012. Al Dragon’s article “Getting Lost and Getting Found – Hiking and Backpacking” appeared in SectionHiker, Hiking and Backpacking for Beginners and Experts http://sectionhiker.com/tag/what-to-do-if-you-get-lost-hiking/. Good pointers on what to do if you feel disoriented, and tips on how to avoid getting lost. World famous travel expert Rick Steves hosts a weekly radio program, Travel with Rick Steves, which airs across the country. 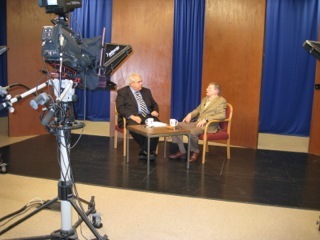 Had a great time being interviewed by Bob Cudmore on his radio show on WVTL, AMSTERDAM, NY. We talked about backpacking and Avalanche and Gorilla Jim. We’ll try to get an MP3 of the interview up on our Media page. I haven’t been counting, but it feels like about a dozen radio personalities have had me on their shows to talk about Avalanche and Gorilla Jim. Last week Albert Dragon was interviewed on five radio shows about the backpacking book Avalanche and Gorilla Jim, Appalachian Trail Adventures and Other Tales. The talk varied from the humorous, such as the origins of the trail names Avalanche and Gorilla Jim, to Dragon’s rescue in a mountain snow storm in Tennessee. A number of publications are running articles about this book. Many of them are newspapers along the Appalachian Trail. We’ll post them at a future time. Today on his radio program, Dr. Craig Wax interviews Al Dragon about the Health Benefits and Hazards of Hiking. Dragon will be on the Milwaukee television show Morning Blend, Monday, June 25th. I had a great time in Duncannon, PA last weekend giving a talk on What’s Funny About Hiking. We’ll have clips of it on this website soon.